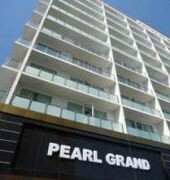 The Pearl Grand Boutique hotel is a four star property located in Colombo, around 10 minutes drive from Colombo Fort Station. Each accommodation offers a private balcony, flat-screen TV, DVD player and en-suite bathroom. Free WiFi access is available in all areas. The hotel's on-site restaurant serves a variety of local and international dishes. Leisure facilities available to guests include an outdoor pool, a well-equipped fitness centre and a sauna. The Pearl Grand Boutique hotel is a 15 minute drive from the city's commercial hub, and 32km from Colombo International Airport.